Let’s talk about the simplest organizational trick, the key hook. You know the place you deposit your keys each and every time you come in the door (and maybe it’s not a hook but a bowl). But, Mariah I know where my keys are, and I’m here for business tips. I hear you, my imaginary reader, that talks back 🙂 This very basic solution to not losing your keys also works for business. It’s about getting into simple habits each time you do something. Use the key to open the door, close door, lock door, deposit keys in designated spot. BOOM, your lost key problem is solved. Think about what in your business is your equivalent to lost keys. Do you find yourself looking for client files often? Are you constantly having to look up your branding hex colors? Are you searching your email box often for certain emails? What is a daily or weekly frustration? Now brainstorm how to fix that, create your own key hook. 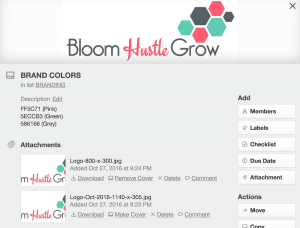 Branding Hex Color Key Hook: set up a file/document where you store that information. Me? I have a Trello Board called BHG Docs (example below). Client Files Key Hook: Have a set process you follow each time you create or get client files. Have a dedicated folder and have a system for naming those files. There are lots of variations on how to file manage, just come up with something you can follow each and every time. It could be that part of the reason you were losing your keys is that you have a clutter problem. Maybe you toss them on the coffee table, but then they get covered in magazines and your jacket. Clutter often causes us to lose the keys in the first place, so you need to take some time to tidy up to make your life run smoother. Things can get off the rails, and you had a process but then you just got out of routine, and before you know it your desktop looks like a 3rd-grade art project. It can be hard to stick to a new routine/process if your old sloppy ways are weighing you down. You created a key hook, but to use it every time you have to climb over a big pile of dirty laundry. You may need to do some tidying up to get your key hook to work. For example, if your desktop is a mess you most likely are going to be tempted just to keep adding to the pile, even if you know you should be filing your digital files better. Ask yourself, “Is there anything that is out of control you find a distraction or a deterrence from following your processes?” Do you open your inbox and cringe every time? Is your desktop a folder nightmare, instead of an inspiring picture? Decluttering can take time and be daunting but if you are serious about getting organized it’s a necessary step. It’s very hard to develop a new routine with the old one taunting you. Take the time to start fresh. Here is an article to help you clean up those digital files and one to to clean up your inbox! Pick one area you know makes you cringe and start decluttering. Maybe you just need to apply your new “key hook” to existing files, maybe some deleting is in order, or maybe you need a new system to get you started. Whatever it is- take action. Sometimes we can get caught up in organizing for the sake of organizing, and it’s not doing our business or time management any favors. Is your organization system too complicated? Is there a way to make it more efficient? Let’s go back to the key hook. When I first put in my key hook, it was beside the kitchen bar. But I often found that I would drop by keys in my coat pocket to take off my coat, purse and take off my shoes by the door. Instead of making it to the hook the keys would go in my pocket. So moving the key hook to the beside the door was much more effective and efficient because I didn’t’ have to remember to collect it from my jacket pocket. 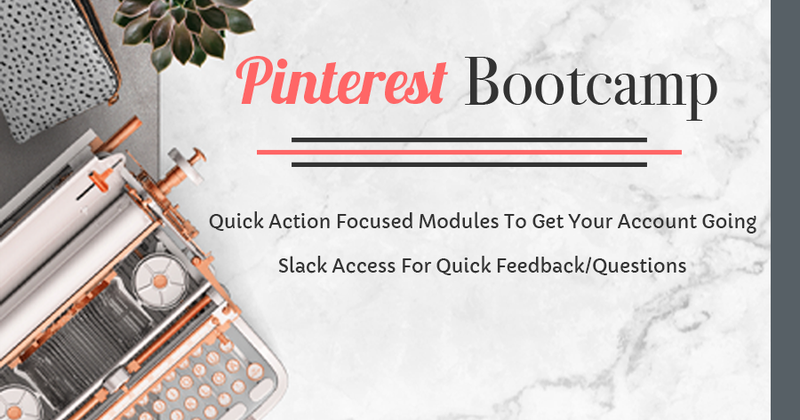 Are there some existing processes you have in place that have just too many steps? Pick one process you have in place, and think about if you could make it more efficient. Challenge yourself to find and take out a step. People think system/technology and think complex or complicated. 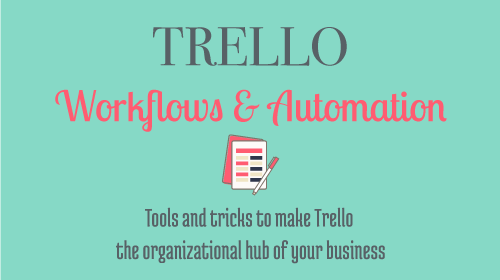 You don’t necessarily need to spend a lot of time searching how to automate, just automate things as you can. Also, some automation is very simple and doesn’t have to be the whole process. It can just be part of the process or learning to utilize better a current system you already have in place. Ask yourself, “Would there be a way for me to automate a part of a routine/process I already have in place?” Could I replace the whole way of doing it with an automated system? 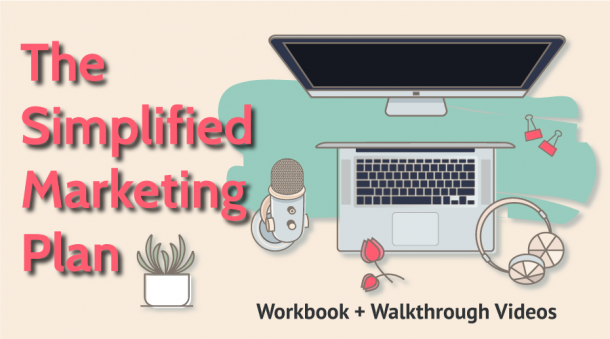 If you think there is a better way to do a process in your business, then look into it. It’s as easy as a quick search in Google. 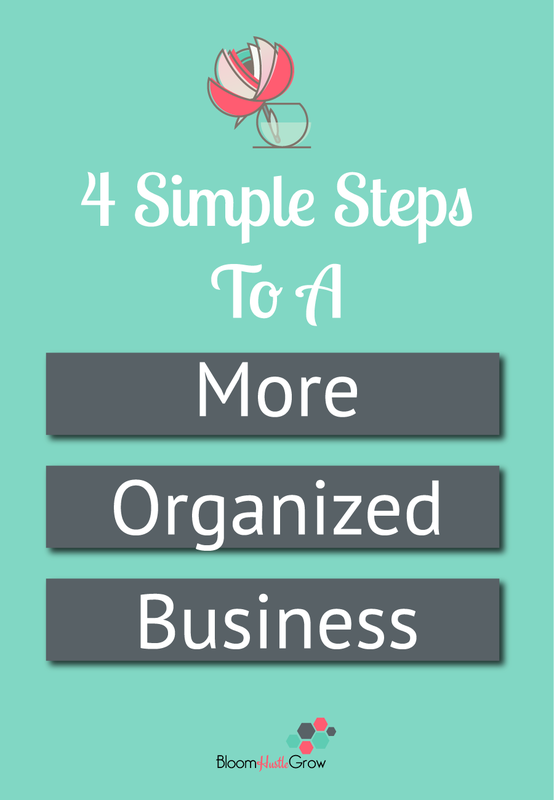 Getting organized is about reducing things that cause you panic/stress in your business. 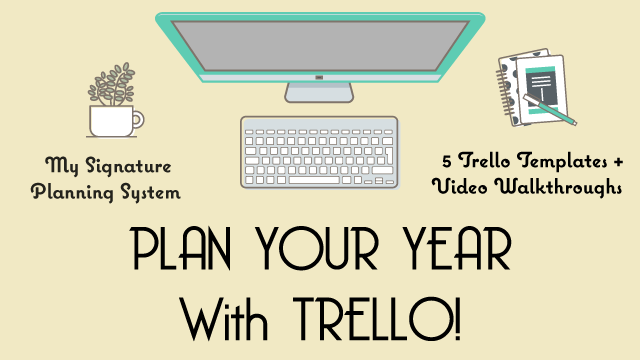 If you’ve been around here for a while then you just *might* know that Trello is one of my favorite tools for keeping organized. It rocks to have all my business stuff organized in one place. 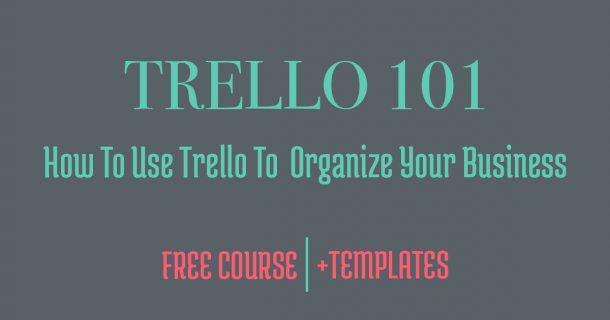 If you want to learn how to use Trello to organize your business, sign-up below!